Sometimes, it’s not enough to hear or feel the bass. Sometimes, you need to actually see it, too. 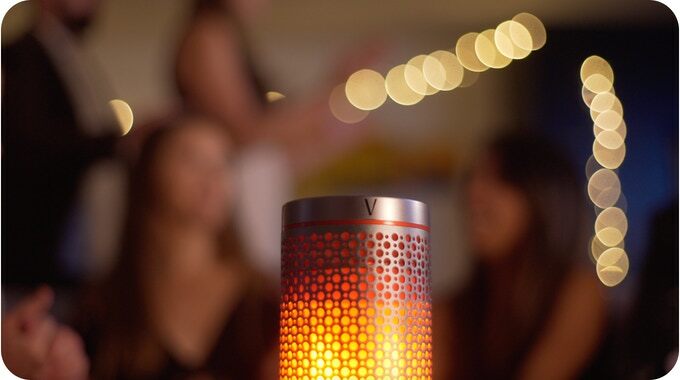 That’s the idea behind UK-based accessory creator Vincoe’s Soundwave, a Kickstarter-backed Bluetooth speaker that uses 99 miniature lightbulbs to produce a lightshow based on the flow of a song. If you want something fancy, you’ll be able to set a fireplace-inspired lightshow or a warm, slow pulse. More standard settings, meanwhile, allow for all of the speaker’s lights to be turned on or off completely. An ‘illumination’ button to manage these options is located on the top of the speaker alongside the play, sound and song skip buttons. In terms of specs, the Soundwave boasts a 10W speaker for a solid subwoofer feeling in a small 100 diamater package. The speaker can also play music from your phone’s microSD card or via Bluetooth at a distance of up to 250 metres (provided no objects are in the way), according to Soundwave. Battery life, meanwhile, is said to come in at least one full day of use, after which a standard micro USB cable can be used for charging. At the time of writing, Vincoe has already raised nearly double its £10,000 ($17,000 CAD) funding goal — impressive considering the campaign doesn’t end until November 23rd. 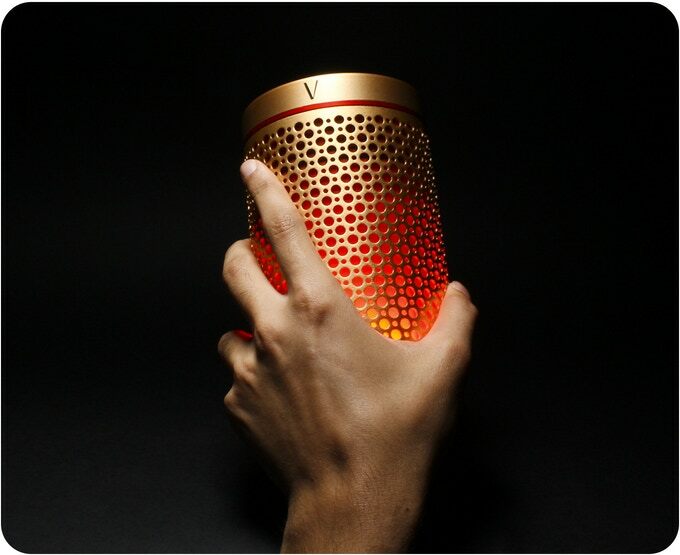 The speaker costs £134 (about $227 CAD) and there is free worldwide shipping to boot, including to Canada, which is pretty sweet. The reactive lighting feature is an interesting concept, but it’s rather gimmicky at the moment, especially with only one colour to choose from. A greater variety in colours, as well as the option to mix and match them, would go a long way to making the Soundwave look cooler. As it stands, a neat-but-limited trick seems to be the only thing differentiating the Soundwave from other run-of-the-mill speakers, so hopefully some it gets built upon in the future.